Having previously met Ron Dobson, the London Fire Commissioner, Vivien Morgan CEO attended a meeting with many other burns charities, coordinated by Dobson and the London Fire Brigade on Friday 25th July. The meeting was attended by Leonor Stjepic Chief Executive of RAFT, Dave Webster of Burns Camps, Alison Tweddle, Operations Manager of Children’s Burns Trust and Bronwen Jones of Children of Fire. The charities representatives and Ron Dobson talked along with Marianne Saabye, LFB’s Head of Marketing, discussing how we might work together in the future. The meeting had a fantastic result, agreeing for RAFT to lead on a joint fundraiser in the autumn of 2016. 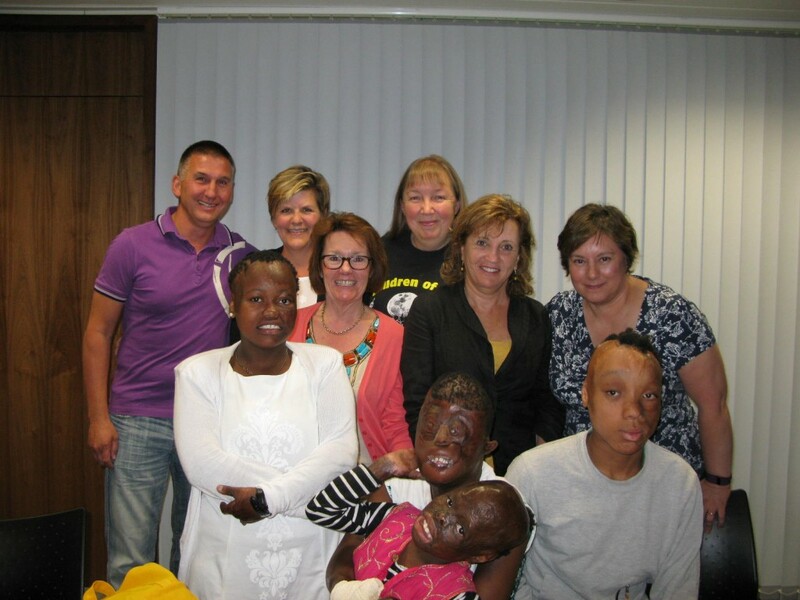 Bronwen brought along 4 children who have been brought over from South Africa to have their severe burns treated; meeting such young burns victims really emphasised how important this work is and why support for all these fantastic causes is so important!